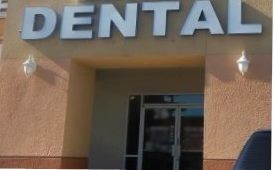 Dental, Dentist Insurance in Ferndale, Bellingham and Washington State - D&D Insurance Agency Inc. Most people cannot deny a healthy smile and great teeth are one of the most attractive features of your face. Having the right dental plan is an important decision that can help protect your teeth, keep small dental problems from becoming larger ones, and help you avoid unexpected dental issues and the added expense to your budget. Washington dental policies vary greatly and choosing the right one for you and your family can be overwhelming. Great dental plans have coverage for many preventive services and can help offset the cost of many procedures. Most cover pre-existing conditions and allow you freedom to choose from a large network of dentists and specialists, and D&D Insurance Agency Inc. can assist you with this. DMO, Dental Maintenance Organization - You are required to select a primary care dentist and receive all dental care from within your network . Traditional Indemnity – allows you to visit any dentist or specialist without referral but only covers up to a specified amount. D&D Insurance Agency Inc. can help you find quality coverage at a reasonable price so you can enjoy the healthy smile you deserve! Contact us to find out more about dental insurance in Ferndale, Washington including the Bellingham, Lynden, Mount Vernon, Seattle, and Sedro Woolley areas.